One student killed and at least five others injured as demonstrations spread across the country against bread price hikes caused by government austerity measures. Protests over rising bread prices broke out across Sudan on Sunday, leading to the death of a student and the arrest of a prominent opposition leader as authorities confiscated newspapers and looked to clamp down on growing unrest. The demonstrations followed a similar protest in the southeastern city of Sennar on Saturday after bread prices doubled following the government’s announcement late last month that it was eliminating subsidies in its 2018 budget. In the southeastern city of al-Damazin, police fired tear gas on Sunday as about 400 demonstrators chanted “No, no to price rises!” and some burned tyres, a local resident told Reuters. 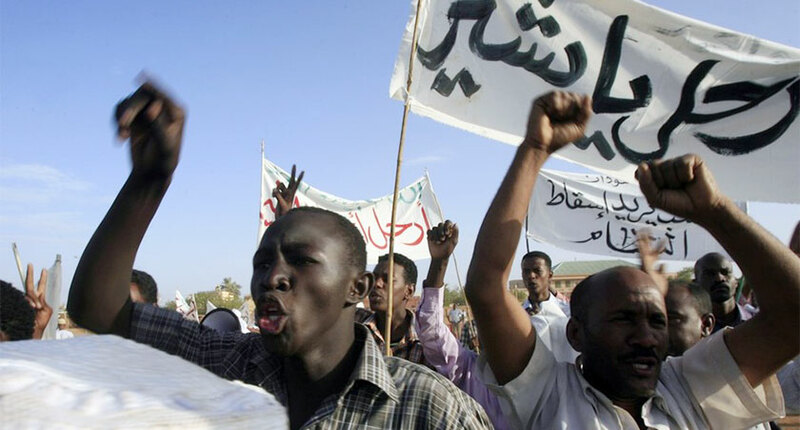 Austerity measures in Sudan have sparked sporadic public protests in the past few years. Amnesty International says that up to 185 people may have been killed in 2013 when thousands took to the streets in demonstrations against fuel price increases. Protests have since been much smaller and the main opposition parties have called for peaceful demonstrations against the bread price rises. On Sunday protests spread to downtown Khartoum and three cities to the south; the southwestern cities of Nyala and Geneina as well as al-Damazin, residents in these areas told Reuters. A high school student was killed and six others wounded in Geneina during the protests, a statement from the Geneina governor said. It did not give a reason for the death but said the incident would be investigated. Authorities arrested Omar Al-Dageir, the president of one of the country’s largest opposition groups, the Sudanese Congress Party, members of the party said. Authorities also blocked the sale of six daily newspapers carrying critical coverage of the subsidy cut and price rises, editors of the papers told Reuters. Minister of State for the Interior Ministry, Babkar Daqna, denied demonstrations were in response to price rises and said that destructive protesters will be “dealt with forcefully” state news agency SUNA reported. Sudan has begun a series of economic reforms in line with International Monetary Fund recommendations to try to bolster the economy, months after a U.S. decision to lift sanctions raised hopes that badly needed investment may return. This month Sudan devalued its pound currency to 18 per U.S. dollar, more than double its previous peg of 6.7 pounds to the dollar. The rate on the black market hit about 29 pounds to the dollar last week.